From US17, take Ballahack Road east approximately 7 miles. Base is on the right. From US168, take Ballahack Road west approximately 3 miles, base is on the left. You’ll see the signs for Northwest Annex. Turn on Relay road, there is a manned security gate. 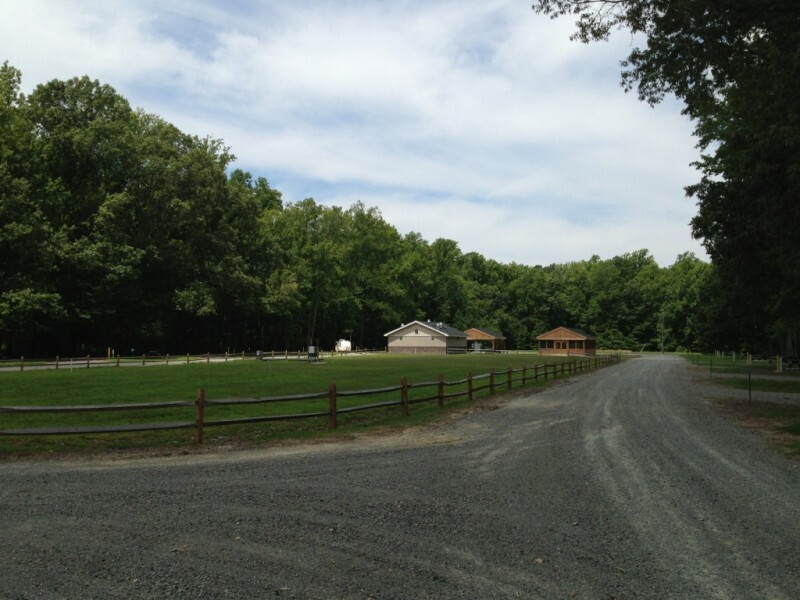 Once through the gate, proceed straight until the fork, take the right fork which is Milepost road, take the first right after the ball diamond which is Wilderness Road, proceed to the treeline and you’ll see the signs for the campground. Not available in the campground. After hours check in procedures; site assignments will be posted on the information boards at the Mariners Community Center entrance. Please pull into your site and check in with the office the following morning. During peak season 1 April through 30 Sept, guest stays will not exceed 30 days and guest will be required to vacate the park for a period of 14 days between stays. During off peak season 1 Oct through 31 Mar, guest stays will not exceed 60 days. 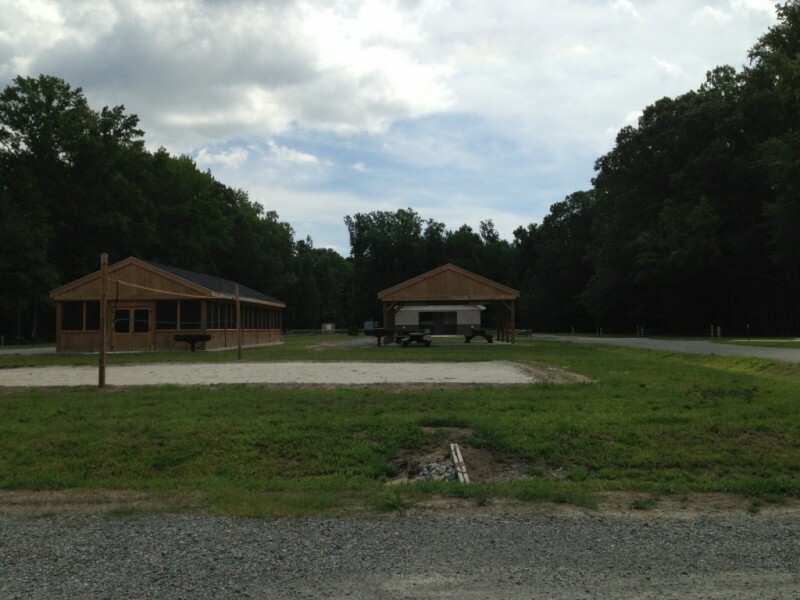 New campground recently built to replace the old campground. OK campground way out of the way and with limited facilities. Some sites muddy but all seem to be flat. No water is a problem since the water facet at the dumpstation was broken. A couple of folks ran 100 foot hoses from the shower / restroom to the facets on each side of the building. Looks like 1/2 the folks might get satellite access. No internet. Stopped by the MWR office on the weekend the guy there said reservations not needed. He had never seen it full and had been there over a year. 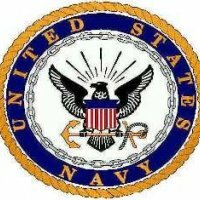 I tired to make them any way and could not find them listed under DoD Lodging, Navy Getaways or anything else. The numbers listed only gave me a voice recording which was no help. This is unsatisfactory. $18 is $10 too much to charge for this facility. Monthly rate at Sea Mist and or Ocean Pines with full hookups brings their rate down to $17/night. 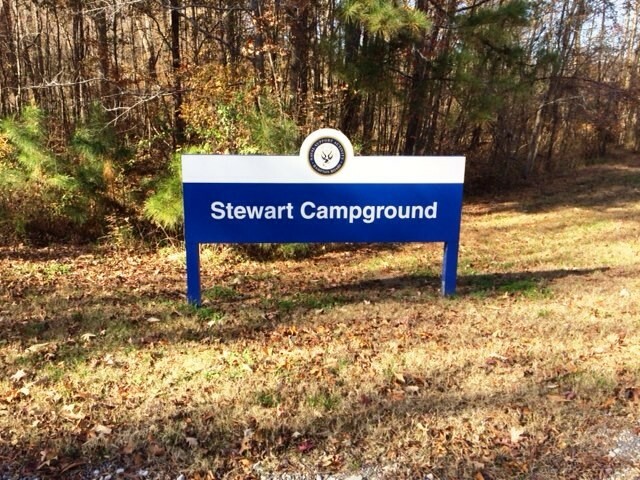 No comparison between Sea Mist and Ocean Pines with Stewart Campground. I haven't seen any recent reviews here so I thought I would post an update. Directions say coming from "US17" I'm not really sure where 17 is but the main highway you would have to come from is hwy 168. 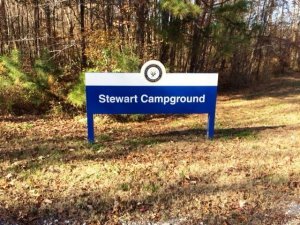 Also the campground itself has no office so you need to check in at the MWR office off the base next to the pass and ID/vehicle inspection area before you get a site. All 14 sites has only electric 20/30/50 but no sewer, no water. There is a bathhouse in the center and if you have a very long hose you can fill your tank from a water spicket on the bathhouse. 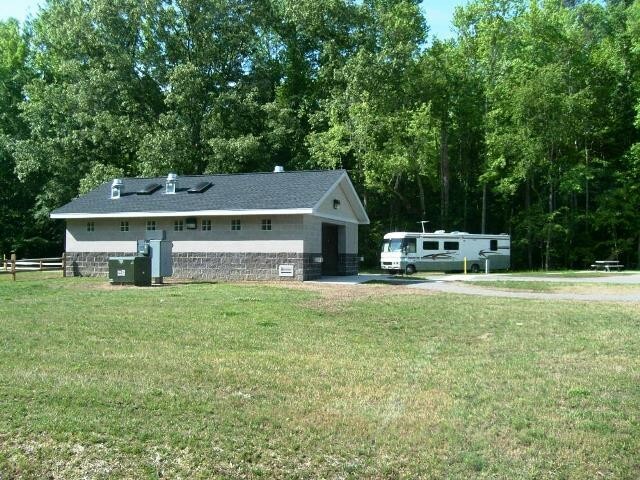 There is a place to dump your tank at the front of the RV park but no water there. There's really nothing on this base, I assumed there was a commisary here based on the above information but this is incorrect, this base has never had a commisary nor do they ever plan to get one built! There's a tiny exchange the size of 7/11 and Walmart is 15 miles away. 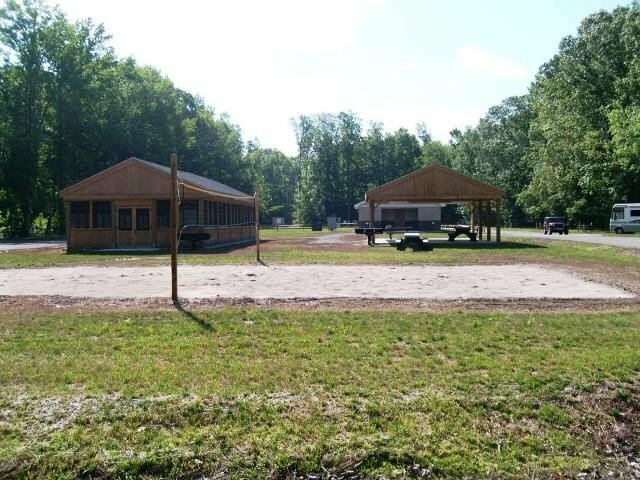 The new campground is open. 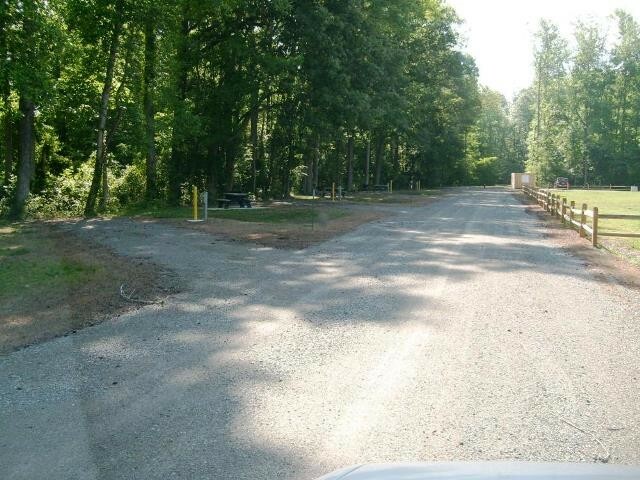 A new access road to the campground on base is open too. The road to Northwest Annex is tight and has some sharp corners with no shoulders. The road from RT 168 is shorter than from US 17 and less challenging. They have carved out an area surrounded by trees so depending on the season you'll have some shade. 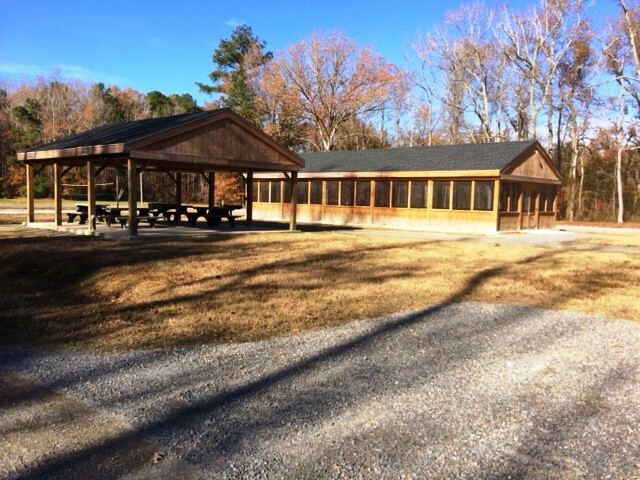 There is a large screened shelter, a smaller open shelter and a small bathhouse. A sand volleyball net is also set up. When we dropped by there was one RV trailer parked on the concrete handicapped spot. All the spots are gravel and fairly level. There is electric but no water or sewer at the sites. All sites are back-in. There is a water faucet and separate dump station. The bathhouse is small with a single large shower. The folks on the phone were very friendly and accommodating for last minute reservations. Be advised, this place is out in the boonies! Bring bug spray! Watch out for snakes and DO NOT leave food out!! There are bears in the area. We didn't camp this time, just wanted to check it out, so 3 stars this time. Site was soggy for big rig. Electric only. Water was obtained on way out by running hose to faucet in shower rooom. Dump station on opposite side of site. Low tree limbs need trimming for passage to dump station. Shower was decent. All personnel extremely helpful and friendly. Road from US-17 to gate is very tight especially if towing. Road to CG is single lane. Just hope you don't meet another RV. 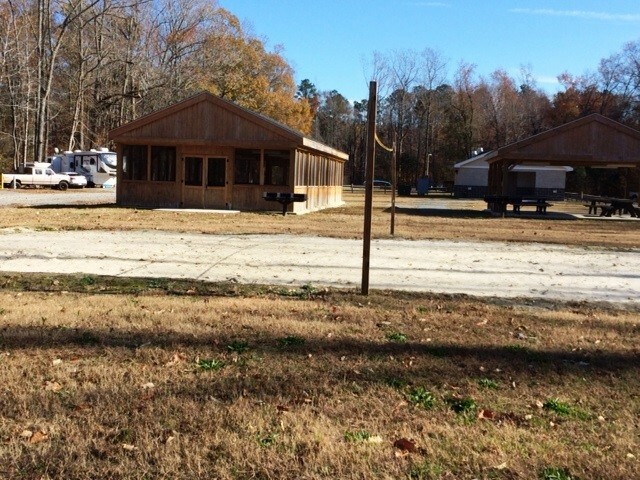 The base is remote and the campground is even more remote, but it is really quiet. This was the second visit for us and we have enjoyed the peace and quiet. The staff at MWR are friendly and the gate guards made sure we had the phone number to security in case we had a visit from Momma Bear and her cubs. We never saw her! 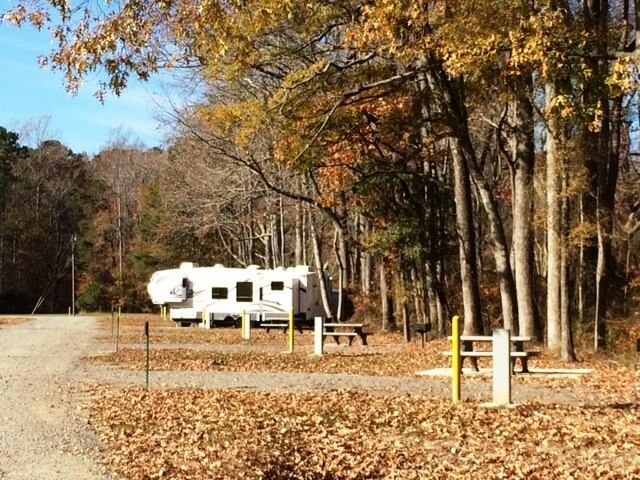 We have been staying at Sea Mist Campground at the Damn Neck Annex in Virginia Beach and went exploring to all the local campgrounds to check out other places to stay. We have a 36' Class A with 3 slides. 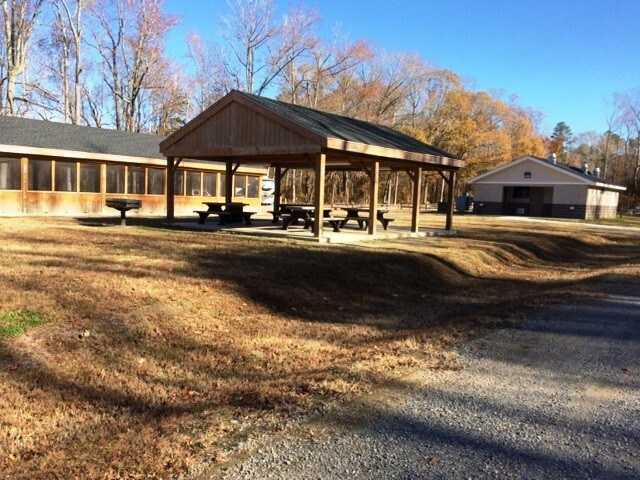 This campground would appeal to specific groups of people as it is remotely located on a very small base. 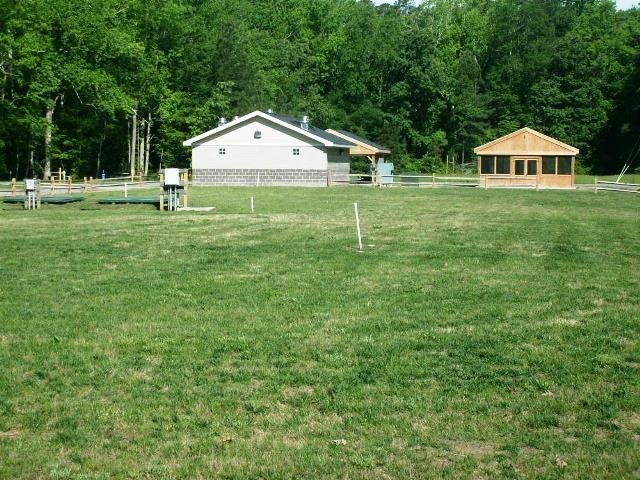 This campground is located down a very long gravel road that ends in a nice ball field/recreation area. The sites are cut back into the trees with very little improvement to the site. There is 50A service on some sites with water and a dump site centrally located. Satellite and phone service is questionable at most sites unless you have a moveable dish. 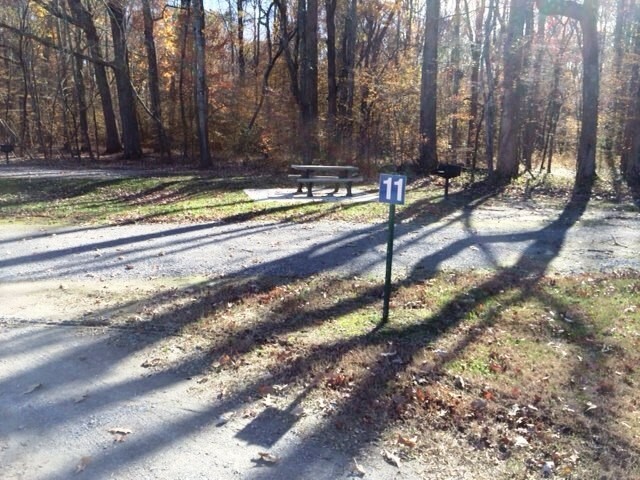 If you are looking for an out of the way place for some peace and quiet for a while...this is the place. This place was my personal playground. With a dozen sites there were only three of us there. 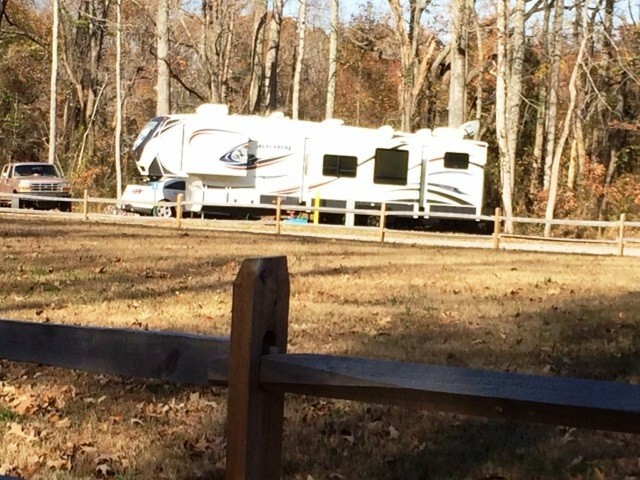 It is back in the boonies, and you can't even see your fellow campers. Sites have 50A electric, no water, no sewer but both are available at a central location. Nice little base with a 4-lane bowling alley, exercise facilities, pool, nice little Navy Exchange and gas station. For a week you pay for 6 days. 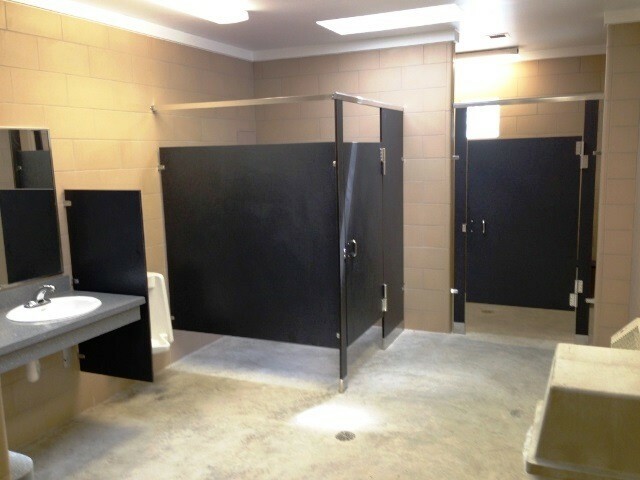 Super bathrooms and showers. Active security and, oh yes, there is the small problem with bears--but generally they won't bother you if you don't bother them. Great people at MWR and everyone on base is extremely friendly. This is a really great deal. Open May-Oct.